Hamlet PigWit – Pig Out!!! Good Monday morning to you! Well, it’s the start of another week and also a new I (heart) Sketches With a Twist 119 over at From the Heart Stamps. The rules for the challenge can be found HERE and the sketch is below. Here I have used an image called Hamlet Pigwit – Pig Out!! How sweet is he with all his cupcakes?!! The ‘twist’ this week was to use the Spotlight Technique but I just stuck to the sketch here. I coloured him with Spectrum Noirs and also used papers and die-cuts from Craft Asylum’s ‘Meadow Sweet’. < Previous “It’s the Most Wonderful Time of the Year”…. It really is!!! Next > ‘Born to be Fabulous’…. 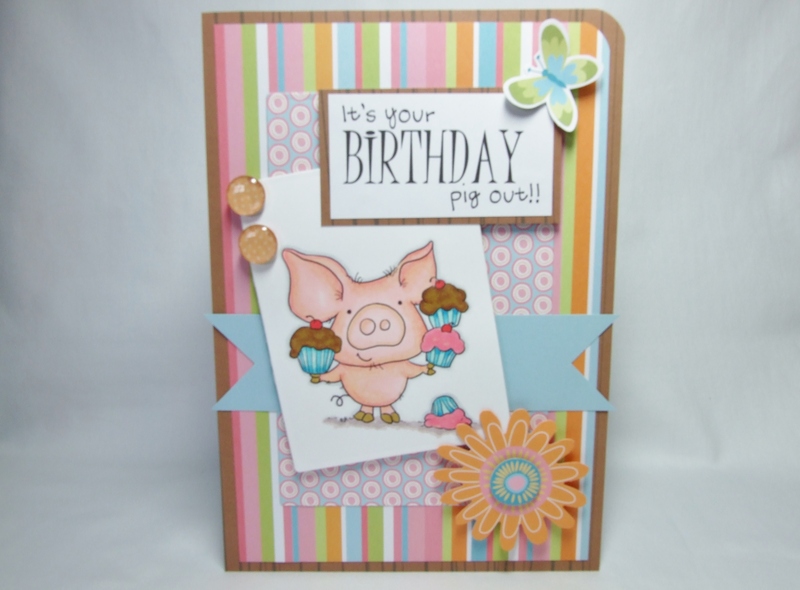 Oh, what a cute fun card with the pig and the cupcakes!!! Such a fun image and you rocked the sketch! Super cute! Love the little pig & cupcakes! Precious! Love the fun colors. Oh my gosh, this is sooooo cute, Karen!!!! I love it! Absolutely ADORABLE!! 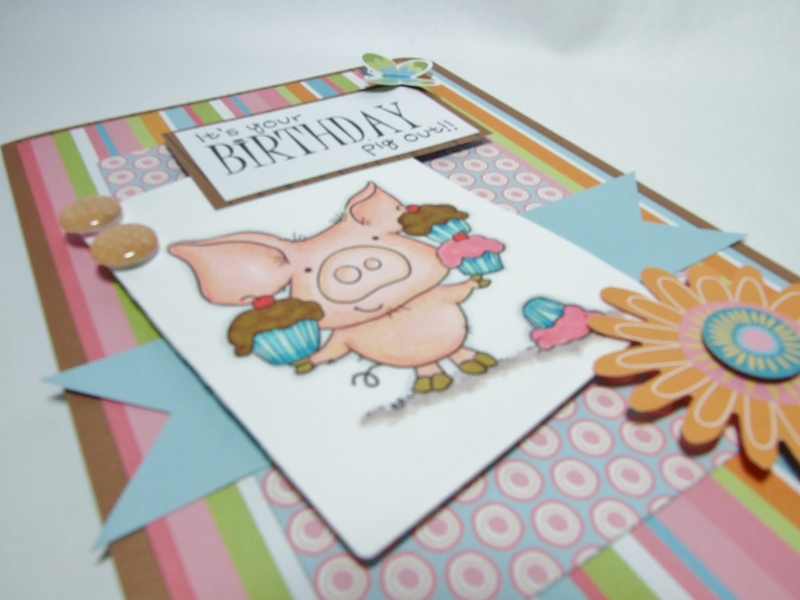 Love the fun papers and colors and that little piggy is a cutie patootie!!! Love, love, love!!! !